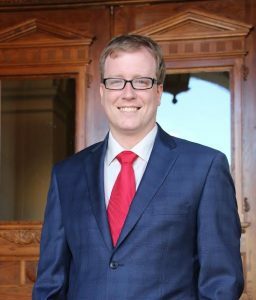 *ed note: Mr. Graham, a software development Project Manager, was the Libertarian candidate for Georgia's 3rd District seat of the Public Service Commission. He garnered over 100,000 votes and forced a runoff between the Republican incumbent & Democratic challenger. As a candidate for state office in Georgia this fall, I heard from thousands of voters feeling left behind by Georgia politics. Those voices of dissent and discontent voted for libertarian candidates, confounding outright wins by same-old Republicans and Democrats. They rejected the status quo and corrupt bureaucrats. Many of those voters, myself included, will be faced with that status quo again in December 4 run-offs. I campaigned against the outrageously disingenuous incumbent failing to represent District 3 on the Public Service Commission(PSC). His campaign was overwhelmingly funded by companies he is elected to regulate, most notably Georgia Power, Southern Company. Donations are disguised through lobbyists and law firms who represent those special interests. During his campaign and when I questioned him in debate, the incumbent claimed Georgian’s power bills had gone up “not one dime in over six years.” Confronted with objective evidence that working families pay more to Georgia Power year after year (EIA study) he confessed his statistics and talking points were provided by…Georgia Power. The PSC’s duty is to advocate for consumers against state-appointed monopolies. When competition is illegal, prices rise and quality falls, as anyone who has interacted with power companies can verify. Monopoly power companies are not only charging Georgians higher prices and special fees, they’ve successfully convinced incumbent politicians to allow them to profit from power they haven’t produced. The $28 Billion boondoggle in Waynesboro guarantees Georgia Power a minimum profit. Tasked with “overseeing” its own use of public money, the company put taxpayer funds at risk and protected shareholder returns. Cost projections have doubled, but the PSC approved increases guaranteeing Georgia Power $5 Billion in profits without a single kilowatt generated. Dutiful PSC cronies, their campaign coffers stuffed with power company dollars vote to reward failure again and again. An elected official cannot demand accountability or transparency from a monopoly when he is dependent on its donations. I’ve fielded many calls and emails this month asking if my campaign – 100,000+ voters strong – would endorse either the sitting Republican or the challenging Democrat. I will not. Were either candidate on the right side of enough issues to earn my endorsement, my own campaign would not have been necessary. But I will cast a vote in this run-off: I will vote for Lindy Miller. I hope the 100,000+ courageous voters who challenged the system will also find Miller a superior choice. Democrats usually count on the support of unions and ‘organized labor’ in exchange for make-work projects at public expense. Miller has not received those endorsements, and that’s a good sign. Unions see she’ll question cost overruns and wasted dollars – exactly what the PSC should be doing but hasn’t. She’s demanding proof that Plant Vogtle and the (hypothetical) jobs created there will be a wise investment for taxpayers, not unexamined kick-backs for campaign donors. The PSC, designated to represent your interests and stand up to its own crony donors, has 5 commissioners all of whom are big government, tax-and-spend Republicans. Lindy Miller will challenge discussions that routinely end in 5-0 or 0-5 decisions. The strength of Miller’s campaign is her fierce advocacy for consumers and apparent willingness to fight the status quo. Customers forced to do business with just one power provider need a champion bulldog, not a corporate lapdog. We need someone on the PSC asking the hard questions. I genuinely hoped it could be me, and I thank the tens of thousands of you who joined me in voting for that vision. AT least one candidate has endorsed consumer choice, because your concerns tipped an election. So while I won’t endorse my former opponent Lindy Miller for PSC 3, I will be voting for her. I hope you’ll consider it, too. Lindy Miller, who lives in the Peoples' Republic of Decatur, runs a business that shows people how to rip off the government with "renewable and clean energy". Her campaign website prominently features a picture of wind turbines (just about the worst idea that was ever conceived by man). They require massive government subsidies, only last 20 years and kill hundreds of thousands of birds annually. So, if you want a crunchy granola, crony capitalist who will do her best to turn Georgia into a California, vote for Lindy Miller. What are your thoughts on Chuck Eaton, Mr. Fred? To me he seems like a shill for the companies he's supposed to be regulating. The campaign contribution data certainly seems to bear this out. Also, any legalized monopoly would seem to be an ultimate anathema to any conservative thinker, yet Ms. Miller is the only one of the two that is willing to publicly go on the record to support the same type of consumer choice for power that we've already seen for telephones & natural gas. "Customers forced to do business with just one power provider need a champion bulldog, not a corporate lapdog. We need someone on the PSC asking the hard questions. I genuinely hoped it could be me, and I thank the tens of thousands of you who joined me in voting for that vision. AT least one candidate has endorsed consumer choice, because your concerns tipped an election." Also, to support or vote for Eaton seems to imply support for the way the PSC has handled the Plant Vogtle boondoggle. It's been 5-0 GOP-Dem with the PSC for years & they have not acted in a conservative manner, in my estimation. All regulatory bodies eventually become confederates of the industry they regulate. That's why no bankers went to jail after the collapse ten years ago. I won't defend Mr. Eaton. I only know if you put a leftist, crony capitalist on the PSC you're just asking for trouble. I agree with you concerning Plant Vogtle. What a boondoggle! Moreover, being a citizen of Covington, thus a part-owner, as well as a customer, I have a fear of another dimension. Covington is one of the 43 "owners" of MEAG (Municipal Electric Authority of Georgia). If we were to have a Three-Mile island or Fukushima incident, we will be in a heck of a mess. We are sitting on our own socialistic time bomb.among other things, we are looking at lawsuit city. It would be great if someone would come up with a way to bring free market principles into the power business. But, again, thinking that will emerge from a leftist is wishful thinking. Her approach would be the Bernie Sanders policy: government ownership. Any bow ties to see here?